The term “restorative dentistry” refers to the integrated management of oral health problems and restoring the mouth to a functional and esthetic state. While it is not currently recognized as a dental specialty by the American Dental Association, general dentists are able to perform many of these procedures without additional education and certification. 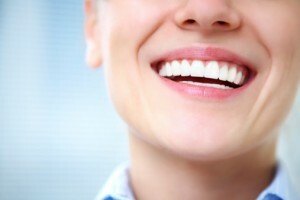 It all depends on how difficult the procedure is and what the dentist feels comfortable with. Many of the procedures are also covered by the dental specialty of prosthodontic dentistry, including fillings, veneers, crowns, bridges, full and partial dentures and dental implants. Whether your dentist uses the term “restorative dentistry” or “prosthodontic dentistry,” the goal is to preserve natural teeth as much as possible. Replacing missing teeth with a dental implant, bridge, full or partial denture helps promote dental health as well. Filling in empty spaces in the mouth can help prevent cavities in the remaining teeth because odd-shaped gaps are vulnerable spots for plaque-causing bacteria to build up. Missing teeth also put extra stress on your remaining natural teeth because you don’t have as much surface area to chew with. When deciding on a strategy for restorative dentistry, you’ll need to consider both physical and fiscal factors-your health and your budget. Most dentists involved in restorative dentistry will try to preserve your natural teeth if possible before resorting to full or partial dentures so you won’t have to remove and clean the devices regularly. But sometimes full or partial dentures are the better option if you have many missing teeth and you’re not a good candidate for dental implants due to other health issues. Also, keep in mind that most dental insurance plans don’t currently cover dental implants. They may be covered under your medical insurance depending on the reason for your tooth loss and whether you have other related medical conditions. Talk to your dentist to determine the best strategy to promote your oral health.